I have a friend who is really good at quiet times with the Lord- reading the Bible, journaling, praying. When she's been with God, her face is so happy and peaceful. You can just tell she loves God, you know? Sometimes I find myself wondering, with a gulp in my throat: is the opposite true? What if I feel far from God? What if I'm struggling - with anxieties, with selfishness, with just plain old haven't-spent-time-with-God-in-ages? What then for the people around me? Can my kids sense it? How can I lead them to Christ, if I'm struggling myself? I have great tenderness in my heart for the asker of this question, because often, she is me. Growing up, I could have won awards for church attendance. I had devotions every day (even on vacation). I memorized verses, read commentaries, the whole nine yards. Since being a mother, I have been humbled. I've battled anxiety, crumbling under the weight of caring for a child with life-threatening allergies. I struggle to give, and give, and give to my children, especially when I'm exhausted. I lose my temper, and I fall behind in my quiet times. I still love the Lord with every fiber of my being, and I need him desperately. But often, I feel guilty for not "doing" enough in my relationship to God. And I get worried. How can I lead my children to Jesus, if I myself am struggling? Do you ever feel this way? I wondered if I wasn't the only one who did, and in my recently-released e-book, How To Introduce Your Child To Jesus, I dedicated an entire chapter to this, called: "Your Relationship With Jesus Matters (And What To Do If Yours Is Struggling)." There's much to be said on the topic (one of my favorite parts is where I share some devotions and books perfect for moms with little time and energy). But the main point - the one we so easily forget - is this: the beautiful irony of the Gospel is that we are loved not because we are worthy, but just because we are loved. When we are weak, in Him, we are strong. My pastor often says that when you've reached the end of yourself, and know you can't do it on your own, then you're just exactly where you need to be. Practically speaking: don't let guilt, or months, or years keep you from the Lord. You can come today, and you can come as you are. You can come folding ragged bath towels, with whispered prayers for the family who uses them. You can come through tears, after tempers were lost and mistakes were made. You can come - right now - just as you are. It's a lie from the pit that you can't. This brings tremendous hope and encouragement to me - that the Lord is always near and always working my my life, and the lives of those I love. Click here for information on How To Introduce Your Child To Jesus. Jessica Smartt used to be a librarian and an English teacher, but now she works much harder just being a mom. 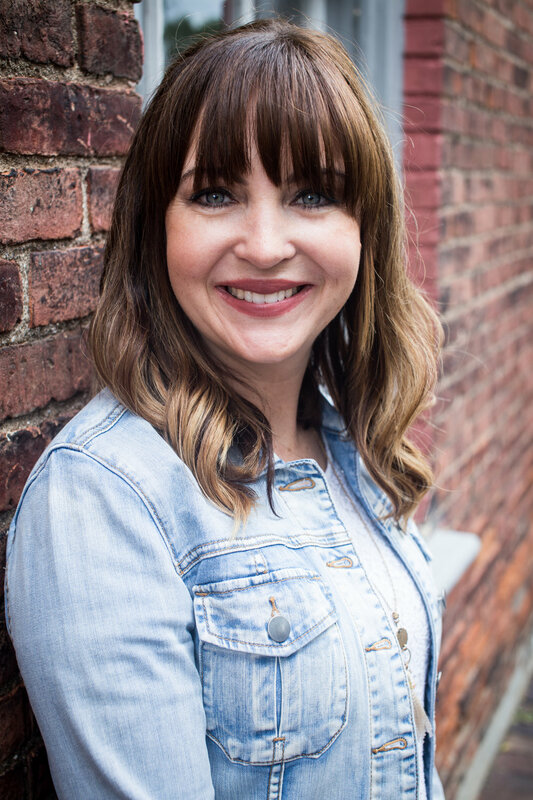 You can find her blogging at “Smartter” Each Day where she pokes fun at the everyday challenges of motherhood, shares all her delicious allergy-free recipes, and rejoices that God loves her no matter what phobia she’s recently developed. She is blessed to the moon and back with two energetic little boys and a husband who actually never worries.